Marginal stands are sometimes left to reassess for plant health and yield potential after an early 1st-cut. Dig some plants and cut open the root and crown with a knife. Watch for crown and root rots, brownish disclouration, spongy texture, a lack of secondary roots and nodulation, and assymetrical crowns. As a general rule, at least 55 stems per square foot provide a maximum yield. The critical level of 40 stems per square foot or less will result in a 25% yield reduction and should be rotated. Stem count numbers assume no significant additional yield contribution from grasses. 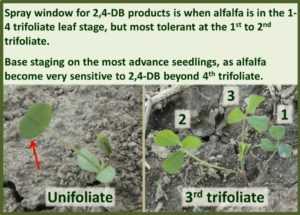 Refer to “Check Alfalfa Stands and Make A Plan” http://fieldcropnews.com/?p=5845. The rains this past week have given the pastures a needed boost. 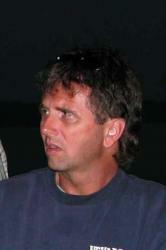 Growth in many pastures had slowed due to the dry soil conditions. Management during the first round of rotational grazing will affect the productivity of the pasture for the rest of the season. One of the common mistakes is not rotating quickly enough between paddocks. Livestock should be rotated quickly through the paddocks so that all plants have been bitten off before they have an opportunity to produce a seed head. This can be achieved by quick moves – every day or by increasing the size of the paddocks if moving every 3 or 4 days. Remember the phrase “the faster the grass is growing the faster the rotation”. The last paddock in the rotation should be grazed before any seed heads emerge. If the early flush of grass gets ahead of the livestock, consider bypassing a couple of paddocks completely, harvest an early cut of hay/haylage, and graze the second growth. This harvested forage can be used to supplement the pastures during the mid-summer slump, or saved for winter feed.